The beauty of black and white embroidery is that it uses simple single-color stitches attached directly to the fabric structure. Repeating geometric shapes are created by this technique and if combined with different canvas densities, darker and lighter areas are further created. The most common way to make a black embroidery is by using a black thread on a white canvas. 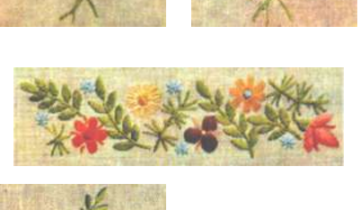 This technique was popular especially in the Tudor times, as most clothes and laundry were decorated with it. 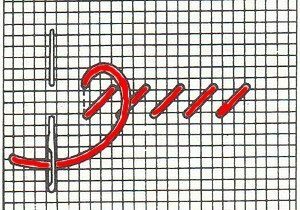 You may combine multiple stitch types – the back stitch, the front stitch, the double front stitch and in some cases, even cross stitches. Different patterns are usually separated by chain lines or special stem stitches. A cover stitch may be used to embroider smaller areas, since it makes for a colorful contrast with lighter, sparsely stitched areas. 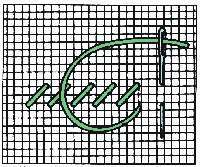 Complex motifs can be easily achieved by combining straight stitches and cross stitches.